Galway Downs and back to jumping! Sometimes life doesn’t go in chronological order. So here is last weekend’s update. Photo does not truly show incredible depth/spread. 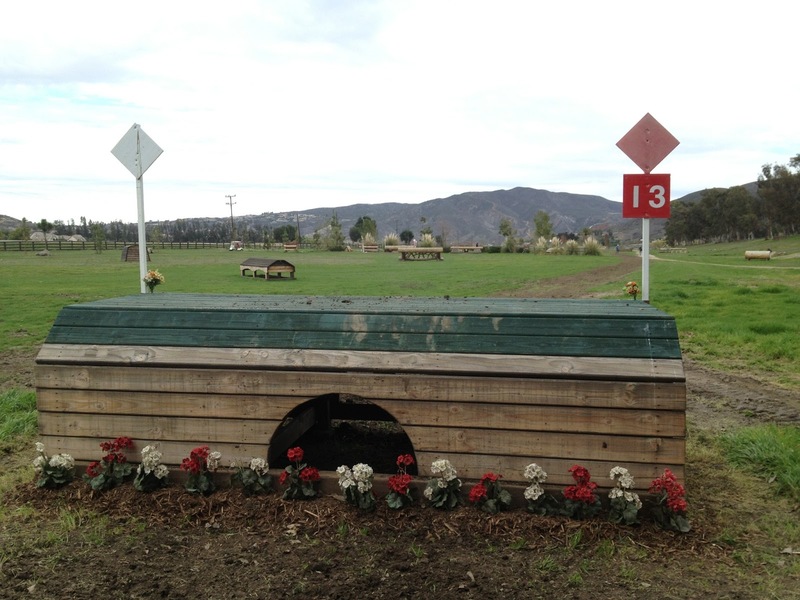 Saturday I went to the Galway Downs horse trials down in Temecula. I’ve volunteered there a few times before and it is always a blast. This time we did XC jump judging again, but we got there early to watch some stadium jumping too. We jump judged #13 for both the Intermediate and Preliminary divisions – the two highest offered at this particular show. These jumps were quite beautiful and straightforward, and they rode very well. We were happy to radio in all riders clear over these jumps. No refusals, no run-outs, no nuthin’! In fact for the whole XC on Saturday there were no major incidents or issues. One rider toppled off at the jump after ours, but she was fine and the horse took the shortcut route back to the barns and did not interfere with the other competitors. Bunnie is just one of the nicest people you will meet. I hope I’m as talented and athletic when I’m her age! Hawley is great to watch. Clinicing with her is on my wish-list. Tamra is an eventing machine. She rode 6 (yes, six! ), horses at this event, and all six of them competed in either XC or stadium on Saturday. That’s a lot of riding. I’ve only met Jerica once, but her little sister used to ride with us and I got to know her mom as well when Spirit and their mare Sara lived together. Lovely gals. Jerica is one brave young rider who has overcome some amazing obstacles. If her mount here, Al, looks like he could do this in his sleep, well it’s because he probably could. This is a 4-star horse owned by Debbie Rosen of Wild Ride Eventers. 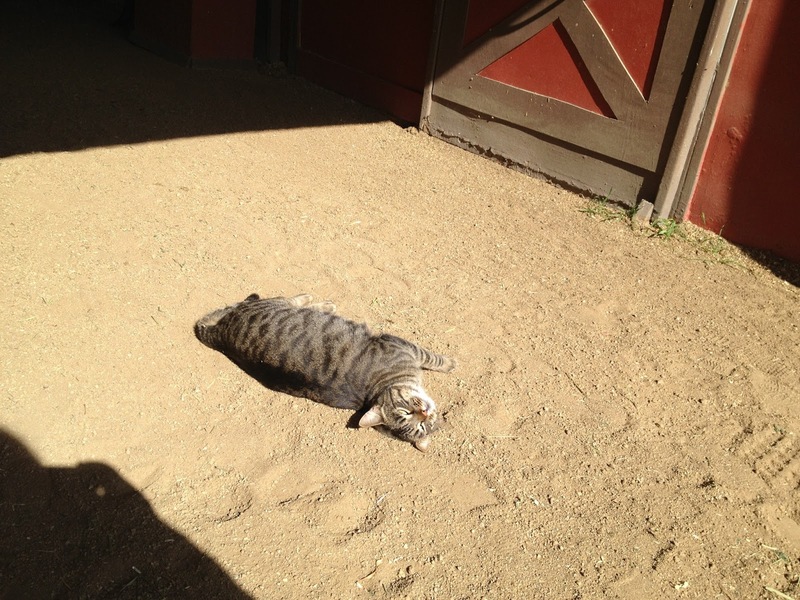 He’s been to Rolex several times and was practically on vacation doing this Prelim course. What a very kind mitzvah of Debbie to let Jerica have this ride. Overall it was very interesting to note a marked distinction between the horses competing prelim versus intermediate. In prelim you saw horses of every size and color and breed – some big and some small, some built uphill and some downhill, some with go and some more slow. But at intermediate there was clearly an overall horse type – very uphill, tails low on the rump, big powerful hind ends, deep barrels, proportionate neck to back ratios, and of course the “look of eagles.” Breeds seemed to be sturdier built thoroughbreds and small to medium sized warmbloods. In Jimmy Wofford’s book Training the Thee-Day Event Horse and Rider he makes a comment that I remember bugging my eyes out at: that any horse can compete at Preliminary level. Tell that to Spirit. Well, I’m sure Jimmy could get any horse around Prelim level. But in light of our observations about horse types successfully competing at Prelim versus Intermediate, maybe that is more what Jimmy meant. That most horses physically can do the prelim level job, but it takes special conformation (and many other things) to go higher. Another interesting discussion is whether or not it is appropriate to compete one’s horse at its capped-out level. Theoretically you are always schooling one level higher than you’re showing, but at some point the horse is maxed out. Do you compete at that level or not? There’s no margin for error, but they can do it. An interesting problem that one day I hope to experience. 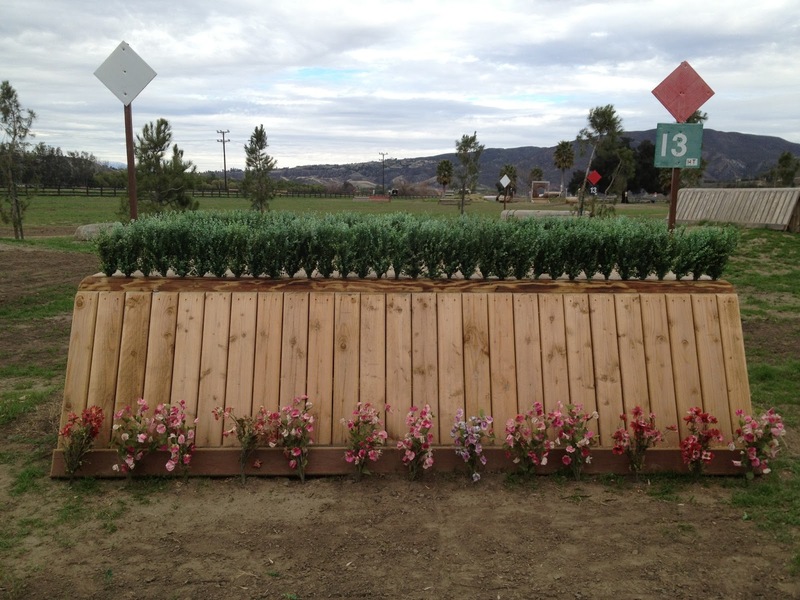 Yes, a jump arena full of small cross-rails. 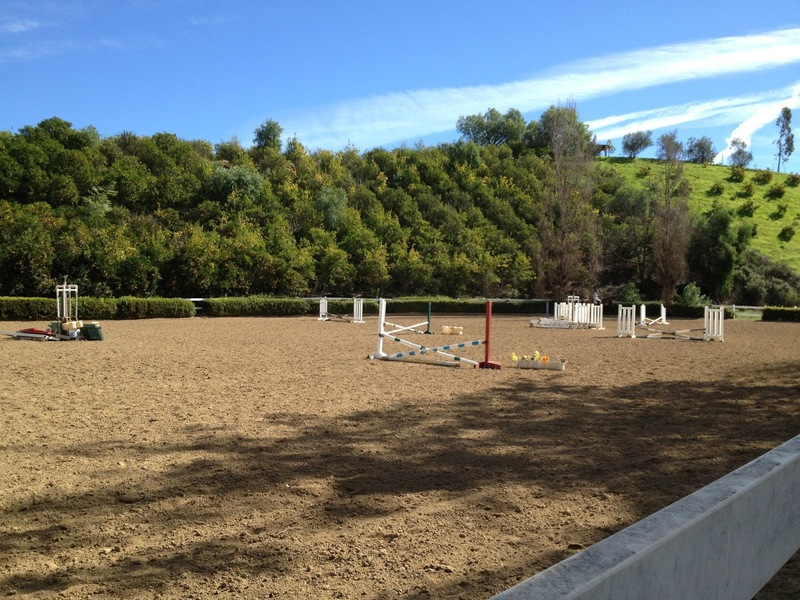 At first Laurie had us do some flat work of course, then we started incorporating ground poles, and then the jumps. This lesson was brought to you by the word straight. Straight, straight, straight. We did plenty of circles and bending lines, but we worked on keeping Hemie straight in his body on the approach and over jumps. He was very happy to be jumping again, and part of that excitement started eeking out with his hips swinging to the right and trying to catch up with his front legs! He’d have jumped sideways if I’d let him, silly boy. Well, to correct it involved circling to the right, swinging his hips left and out. It made a point that he can’t swing his hips right. Pretty soon just a half-halt on the right rein did the trick. Then a deeper right hip bone. He’s a quick learner. He hasn’t shown any soreness since then, but to be safe and on the advice of a local eventer competing very successfully with a barefoot horse, I got some hoof hardener. That arena view looks familiar – too bad I won't be seeing it again. hope the move went well.